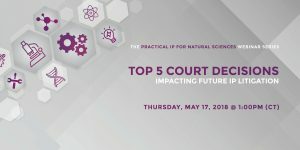 Within the last few years, the Federal Circuit and Supreme Court have handed down decisions that altered the landscape of both patent prosecution and enforcement, ranging from venue and attorneys’ fees to the standards for obviousness and patent eligibility. 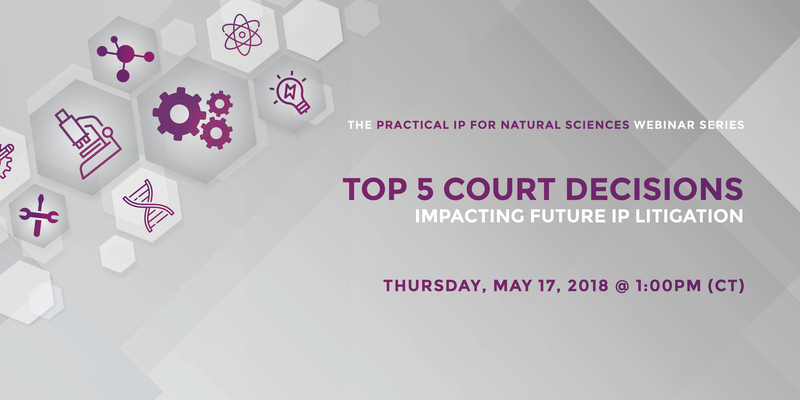 Please join me for a complimentary webinar on May 17, as I take a look back at the five most important IP decisions of 2017-2018 and evaluate their effect on practice in the life sciences arena. 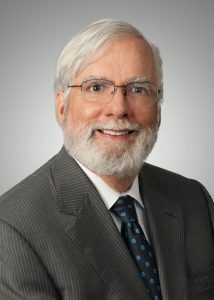 This entry was posted in Webinar and tagged Enforcement, Federal Court, Litigation, Obviousness, Patent Prosecution, Supreme Court, Webinar. Bookmark the permalink.